Chances are you’ve heard of PAT testing or seen the stickers on equipment around your gym or health club. 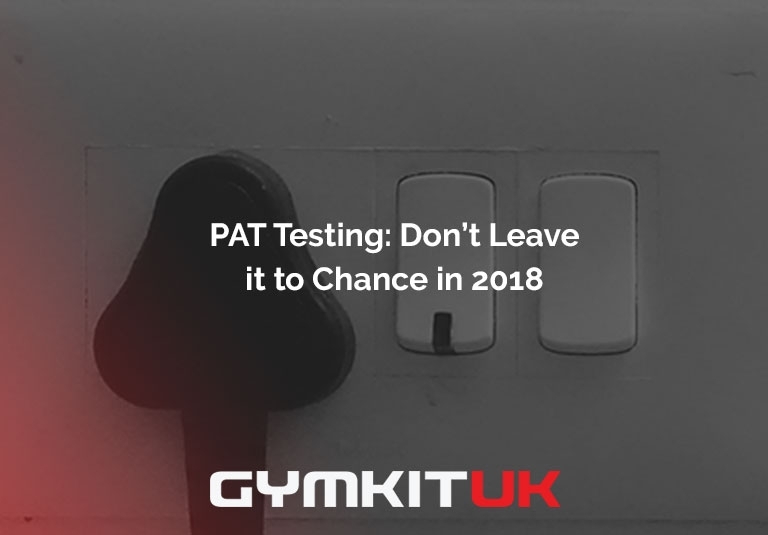 But why should you be sorting your PAT testing with Gymkit UK out now? PAT Testing ensures your staff and clients remain safe whilst using your facility. By completing the unobtrusive testing annually you start the new year with the peace of mind that you've taken steps to ensure the well being of your team and the general public. PAT testing involves the all important testing of electrical appliances to ensure that health and safety regulations are being met. While not all your equipment will require an electrical current to work, the machines that do will need PAT testing. It is your responsibility as the owner of the equipment, whether a treadmill or chest press, to prove the overall safety from an electrical standpoint. PAT testing must be carried out by a qualified professional with specialist equipment such as those employed by Gymkit UK. You will be provided with evidence of the completed PAT testing for your gym equipment which can be provided to your insurance company if necessary and may even provide savings based on your effort to ensure a safe environment. Don’t be liable for putting your employees, customers or friends safety at risk. Book your PAT testing for 2018 now. Gymkit UK is pleased to offer high quality, affordable and fully HSE compliant PAT testing as part of its servicing and installation packages. Call us now on 0845 485 1081 for a free consultation regarding any PAT testing you might need or visit our installations and servicing page.